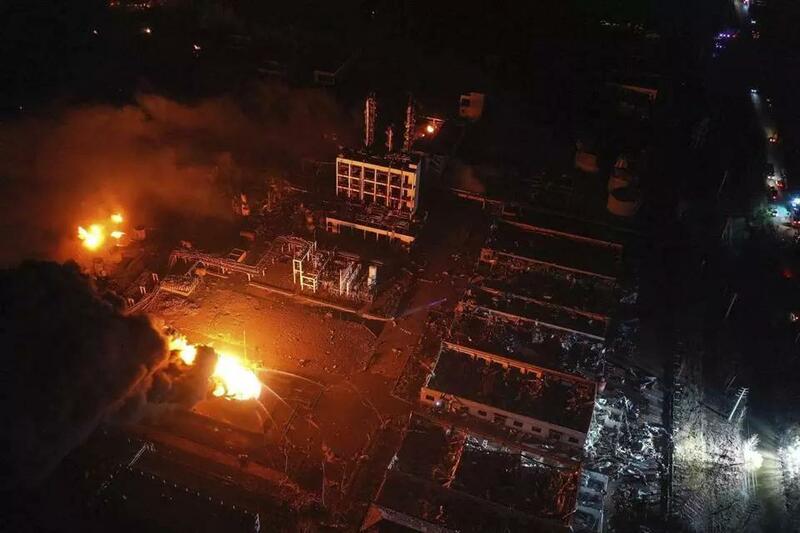 XIANGSHUI, Jiangsu, March 23 (Xinhua) -- The death toll from an explosion in a chemical plant in east China's Jiangsu Province has risen to 64 as of 7 a.m. Saturday, authorities said. Among the dead, 26 people have been identified, Cao Lubao, mayor of Yancheng city, said at a press conference Saturday morning. Twenty-eight people are still unaccounted for. One person was rescued on Saturday morning after an around-the-clock search, Cao said. The explosion happened at about 2:48 p.m. Thursday following a fire that broke out in a plant, owned by Jiangsu Tianjiayi Chemical Co. Ltd., in a chemical industrial park in Xiangshui County in the city of Yancheng.